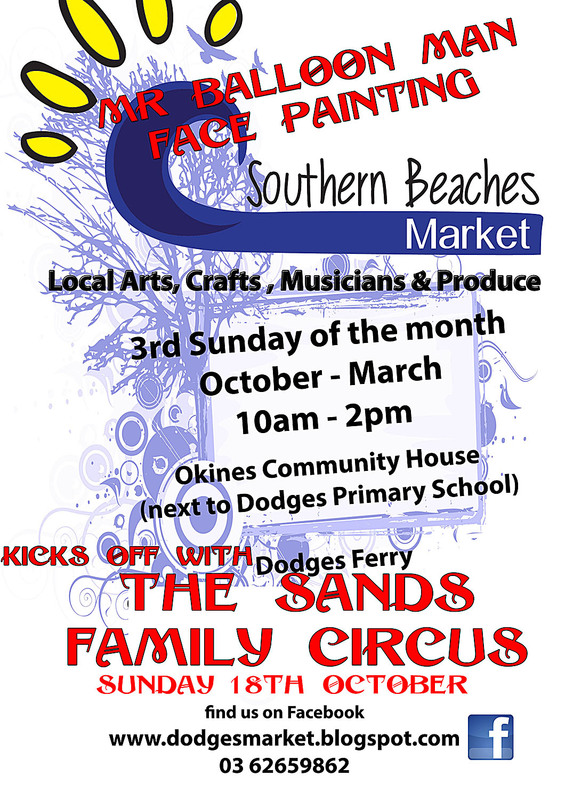 Next Sunday, the 18th October 2015 to be precise, my wife, Helen, and I are starting to sell fine art cards, prints and other items at Southern Beaches Markets which is held at Okines Community House in Dodges Ferry. The market is held on the third Sunday of every month for the next six months. We hope to see you there. Please feel free to stop by and have a chat. All the art on sale will be predominantly about this part of Tasmania. More details about Helen’s art practice can be found here and here.